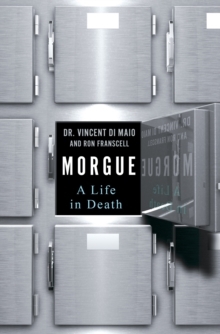 In this clear eyed, gritty, and enthralling narrative, Dr. Vincent Di Maio and veteran crime writer Ron Franscell guide us behind the morgue doors to tell a fascinating life story through the cases that have made Di Maio famous-from the exhumation of assassin Lee Harvey Oswald to the complex issues in the shooting of Florida teenager Trayvon Martin. Beginning with his street smart Italian origins in Brooklyn, the book spans 40 years of work and more than 9,000 autopsies, and Di Maio's eventual rise into the pantheon of forensic scientists. One of the country's most methodical and intuitive criminal pathologists will dissect himself, maintaining a nearly continuous flow of suspenseful stories, revealing anecdotes, and enough macabre insider details to rivet the most fervent crime fans.